Dave's post inspired me to post this one I did about a year ago. I'll be back at the airport next month when I fly to Spain. 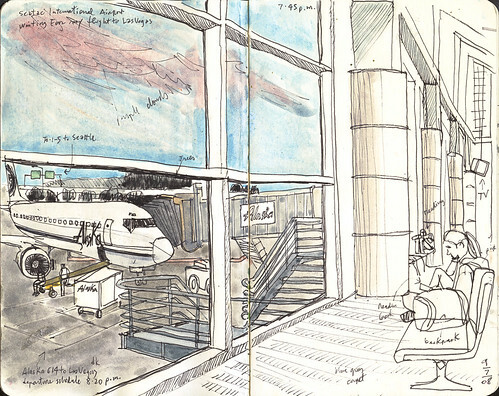 Sketching the planes is for sure the best thing to do while waiting to board! I admire your accuracy and characteristic colors. Great!